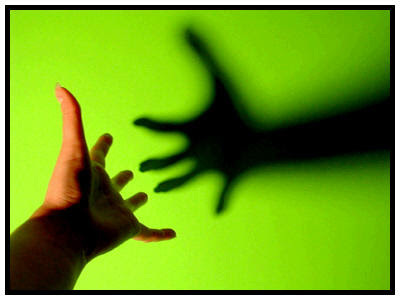 Do we think we are reaching out but we are really only reaching in… to ourselves? Is it bad to reach in and minister to each other in the church? No, we are commanded to do that. Do we sometimes confuse reaching out the lost with events and ministries that are only reaching in? Who outside of the church do we want to touch? Do we want to minister to? Are we really going to our community to show them we care? Do they know it? Its easier to just reach in. He Wants us to reach out. WOW! Cannot believe you wrote about this?! Well I can – because I know that is how God works! I do not believe in coincidences! For the past several months God has been tugging at my heart concerning outreach! He wakes me up at night (or early morning) with a heavy heart for those just beyond our doors that need Jesus! Some who may have never been to church, or some who have been but did not feel welcome, of those who have been hurt by others within the church, and so on… it seems the more I pray the more questions I have instead of answers. I do firmly believe that how we do outreach currently needs to be redefined – what does that look like? I am not clear on that. I am clear – and have always held firm – that we should be taking the church to the people! We need to be the church out among the community. My heart is restless because my God, my Savior, my Hope, my Everything does not desire for me to sit back in my comfort zone doing nothing! His desire is that none should perish but that all who believe in Him will have eternal life! I need to be out introducing others to Everlasting Life! Revive us Lord, ignite within us a burning desire to get out and be Light & Love & Truth among a dark & dying world! !